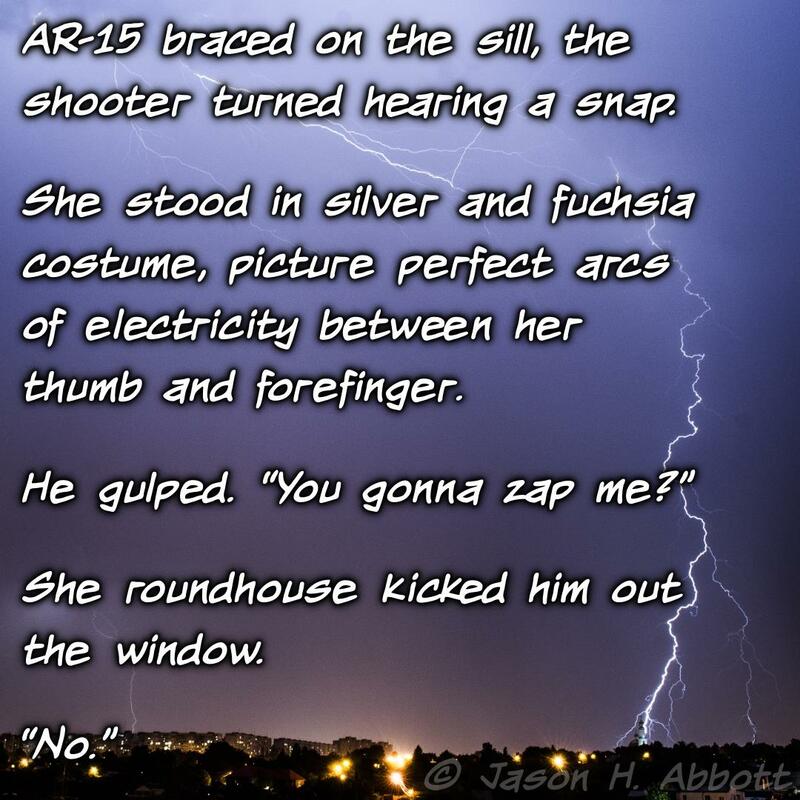 AR-15 braced on the sill, the shooter turned hearing a snap. She stood in silver and fuchsia costume, picture perfect arcs of electricity between her thumb and forefinger. She roundhouse kicked him out the window.